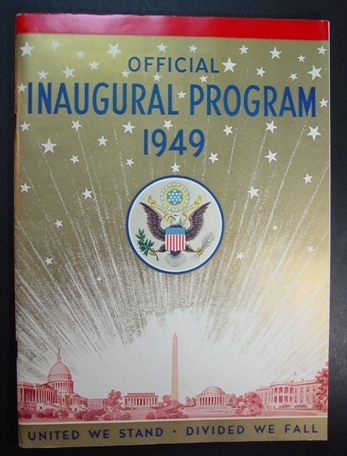 This 1949 Inauguration Program is in great shape and comes with the original envelope. It has a wealth of knowledge not only about the 1949 inauguration but about all Presidential inaugurations. Below are pictures of some of the contents of the program. Above is President Truman's official portrait and below is the letter he writes to the American people that begins the program. The First Lady gets a full page. And of course, there is plenty of information on the day's events. Truman was a history buff and his inaugural program has lots of history on past Presidential inaugurations. 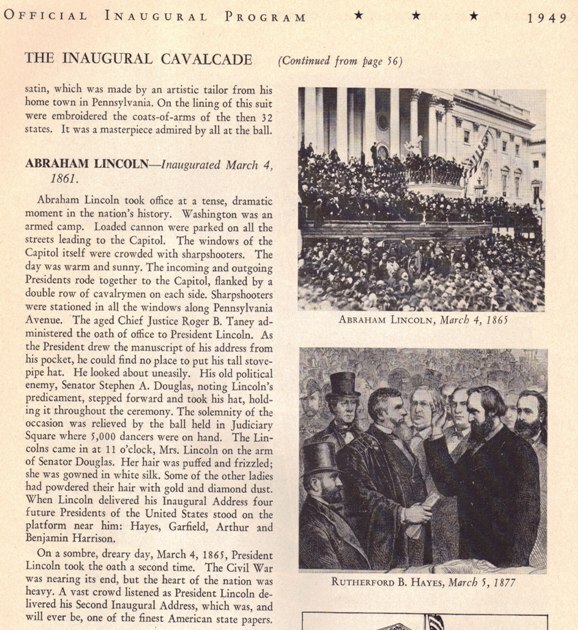 Abraham Lincoln gets lots of mentions in the program, including this full page engraving of the cabinet meeting considering the Emancipation Proclamation. It vividly demonstrates how far the country has come from Abraham Lincoln to Barack Obama. With the exception of a small chip out of corner of page nineteen, this program is in excellent condition, in part because it has been encased in its original envelope for all these yeas. This ia great piece of historical memorabilia honoring a great President.